What a weekend! We had a fantastic time at One Fine Day Wedding Fair in Sydney. 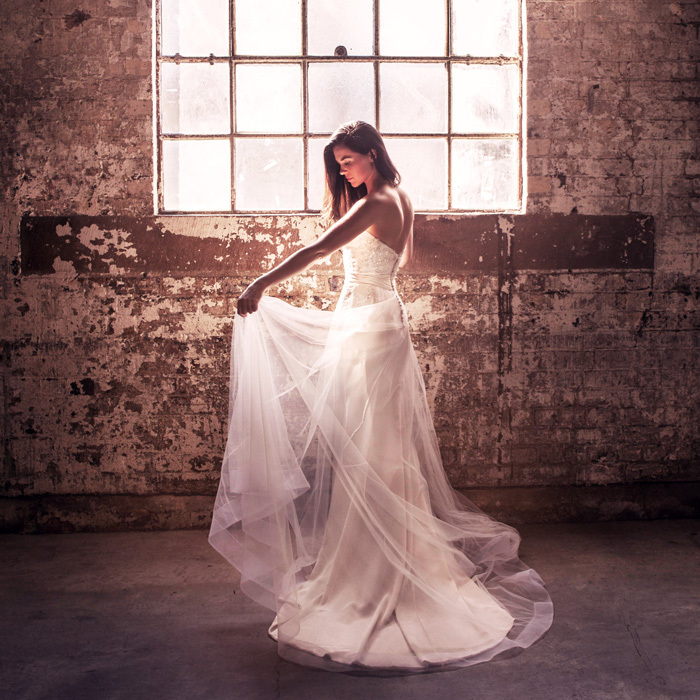 It was set in the most wonderful venue at Australian Technology Park in Alexandria, featuring beautiful exposed rustic brickwork and arched windows with sunlight streaming in. Our weekend was bustling with brides who had flown in from Melbourne, Adelaide and all around Australia to try on gowns in our expertly designed fitting rooms. With a preview of The Kate and The Charlotte from the 2016 collection some brides were lucky enough to find their dream Moira Hughes Couture gown! We took the opportunity to show our brides how carefully our gowns are created and glimpse behind the scenes. As the weekend went on Julie from the Moira Hughes team (pictured below) expertly hand stitched French lace onto the bodice of our Grace Wedding Gown and brides returned thought the day to see the dress come together! As an extra surprise The White Collection displayed a pair or Kira Badley and Mishka shoes for one lucky Moira Hughes Couture bride to win...... watch this space! The bridal catwalk was an absolute dream featuring our new Charlotte gown. Also on the runway was our Indianna, Pearl and Mia gowns. The team at PV Hair & Makeup worked their magic for the show, and the Francis Floristry bouquets on the runway looked stunning. The entire venue was full of Sydneys best in the Wedding Industry - even our own Moira Hughes had a chance to look around for her upcoming wedding! Already looking forward to the next One Fine Day and seeing the beautiful brides that found their Moira Hughes dress walk down the aisle in their own wedding gowns!